When the federal government decided that US states could regulate online poker at their own discretion, it was thought that a huge wave of regulation would follow. Three states immediately jumped on board, but efforts elsewhere have since stalled. Of the states expected to legalize online poker, New York has been listed in the top 5 ever since. 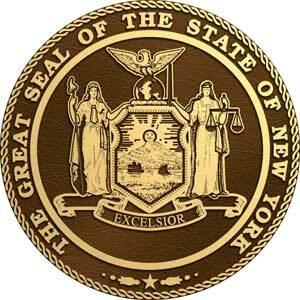 The topic of iGaming regulation has been floating through the New York Legislature since 2012, and if there’s one thing the majority has agreed on, it’s that online poker wouldn’t be authorized any time soon. The state has too many other gambling-related expansion projects already in the works to think about regulating online gaming at this time. The good news is that most politicians in the Empire State are acquiesce to building an online poker market in the future. To keep that momentum flowing, the Senate Racing, Gaming and Wagering Committee has scheduled a hearing for September 9, 2015 to discuss online poker. Republican Senator Jon Bonacic has led the push for legalization in New York. In May of this year (just as he did in 2014), Bonacic introduced legislation that would establish a framework for regulation. However, his intention was not to get the bill passed into law, but rather to raise awareness, incite discussions and get the ball rolling for future authorization. Next month’s meeting is projected to have the exact same purpose. While the seed has already been planted in the Empire State, continuing to nurture it will make it much easier to regulate online poker in the future; perhaps as early as next year. Sen. Bonacic also happens to be the Chairman of the Senate Racing, Gaming and Wagering Committee. Thus his favorable opinion of online poker regulation, combined with his influential prowess on such matters, bodes well for New York’s poker playing community. The minutiae of Sen. Bonacic’s online poker bill, formally known as S 5302, will be the highlight of the discussion. What works, what doesn’t work, and what alterations could make it more viable in terms of consumer protections, taxation and licensing? As it was proposed, Sen. Bonacic’ measure calls for a 15% tax on gross gaming revenue with a maximum of 10 licenses available to suitable operators. The bill is designed to regulate online poker only, on the basis that the New York District Court has already declared it a “game of skill”, as opposed to traditional casino games, which are based more on luck. MGM Resorts, which has been lobbying for regulation in the state, commissioned a study that estimated $110 million is already being spent by New Yorkers every year at unregulated offshore poker sites. The study concluded that the state could generate $50-$80 million per annum in tax dollars by regulating online poker on an intrastate basis. Sen. Bonacic’s bill, however, provides for the possibility of expanding into interstate compacts with other states where online poker is legal, such as Delaware, Nevada and New Jersey. Doing so could increase the potential revenue to unknown heights.